Another day, another cabinet nomination from President-Elect Donald Trump. 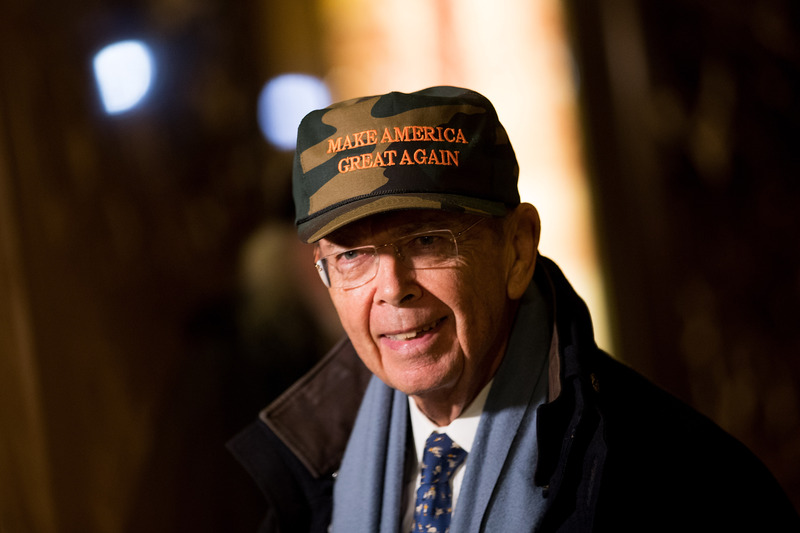 Most recently, Wilbur Ross was chosen for the role of commerce secretary, meaning he would be in charge of the relationship between businesses and the White House. It's no surprise that Trump would choose a shrewd billionaire for a trade-oriented position, and on first glance, Ross seems veritably innocuous compared to more controversial Cabinet picks like Steve Bannon and Jeff Sessions. But upon closer inspection, it's clear why Americans would choose to protest the nomination of Ross for commerce secretary. As with many of Trump's appointments and nominations, Ross' track record is marred by controversy. For one, Trump's choosing Ross is antithetical to his campaign promise to "drain the swamp" of Washington insiders and Wall Street affiliates. Though Ross hasn't held a government position, he has worked closely with government officials such as Bill Clinton and former NYC mayor Rudy Giuliani. While discussing your disdain for any of the myriad problematic cabinet and White House pick that come from the office of the president-elect at increasing speed is a useful tool to communicate public outcry, it's ineffective when it comes to actually making things happen. Luckily, Emily Ellsworth, a Utah woman who used to work for Congress, provided a bunch of excellent tips on getting a hold of your congressperson. In the case of Ross, contacting your senators is much more effective than contacting your representatives because the Senate confirms the nomination of a commerce secretary. By letting your senators know that you aren't down with Ross, you are effectively telling them that if they vote to confirm him, their constituents won't be happy. Finding your senators is relatively easy — you just select your state in the drop down on the Senate website's directory to get their D.C. office number. You can go one step further as Ellsworth suggests by finding their home office number by Googling their name and going to their website, which should have contact information for their office line in your state. With the ever-growing motley crew of Trump's cabinet and White House staff coming together more and more everyday, many people are understandably losing interest in which cartoonish villain everyone's mad about on any given day. That's why important to look into Ross's background, and the backgrounds of every person who is being nominated to a cabinet position or appointed to a staff position. The more we know about these people, the better equipped we will be to fight them at every turn. It's not called opposition research for nothing. That said, knowing about them isn't enough. Tell your friends, your parents, your relatives, and your classmates. Use Facebook, email, texts, phone calls, letters to the editor, and, of course, word of mouth. Get the word out and find strength in numbers. As the shock wears off and the inevitability of Trump's presidency becomes our stark reality, the prospect of surrendering and "waiting to see what happens" is increasingly attractive. But as many activists who've been fighting for their rights and the rights of others have been doing since the beginning of our nation's history, understanding the need to persevere is incredibly important right now. We must be realistic about the fact that a good many of Trump's cabinet picks will be confirmed — but that doesn't mean we're giving up on fighting them. The nomination of Ross to commerce secretary is very telling — for all his talk about bringing jobs back to America, Trump has instead chose political expediency in Ross, a man who has outsourced jobs to Trump's favorite punching bags of China and Mexico to presumably save money in the factories he's flipped. Pointing out this hypocrisy is one of the first steps we must take to fight the appointment of Ross and the other cabinet and White House staff members Trump hopes to bring in.